Those of Pesic still do not know the defeat in League Endesa in the Palau and dedicated the victory, sixth followed, to the memory of Ranko Zeravica. Barça Lassa has once again put on the 'chip' of Endesa League, where he has added the tenth victory in his fief, to maintain his unbeaten in the Palau Blaugrana defeating Unicaja by 94-83 in a clash where, this time, the azulgrana block has been superior to its rival, especially in the inside game (although it conceded 16 triples) . Despite that the Luis Casimiro team has had at the American-Armenian base Ryan Boatright, its latest signing, at its best man, the truth is that they notice too much the absences of Alberto Díaz and Carlos Suárez, to which today the Jaime Fernández has been added by a stomach virus. The azulgranas, with the Thomas Heurtel low due to muscular problems, have had Canadian base Kevin Pangos to the catalyst of his game with a great game without making a mistake. He has played 28 minutes with 16 points scored in a series of 5 out of 5 (4 out of 4 in 3 pointers), 2 out of 2 in free throws, and 8 assists. But the whole team has added on the court and, finally, Chris Singleton has been at his height in defense and attack (13 points and 9 rebounds), while Ante Tomic and, especially Kevin Séraphin, have clearly exceeded Giorgi Shermadini and Mathias Lessort in the paint (31 rebounds versus 25). In addition Adam Hanga has been the spearhead of the Barça offense with 16 points. The Catalans were put out with 10-0 in just three minutes with triple by Kevin Pangos (2) and baskets of Jaka Blazic, today holder, and Tomic. Y Brian Roberts opened a partial 0-7 for Unicaja (10-7, m.5) and Barca errors in attack, with many losses were not used by visitors. After 17-15 of the first quarter, the Pesic team opened the gap in the second quarter (30-23, m.15) and the actions of a 'plugged' Ryan Boatright gave the initiative to visitors after a partial 0- 8 (30-31, m.17) . The Barcelona continued with the losses (10 in the first half) and allowed those of Luis Casimiro not to lose control in the score and go to the break with the balanced shock (41- 41) . 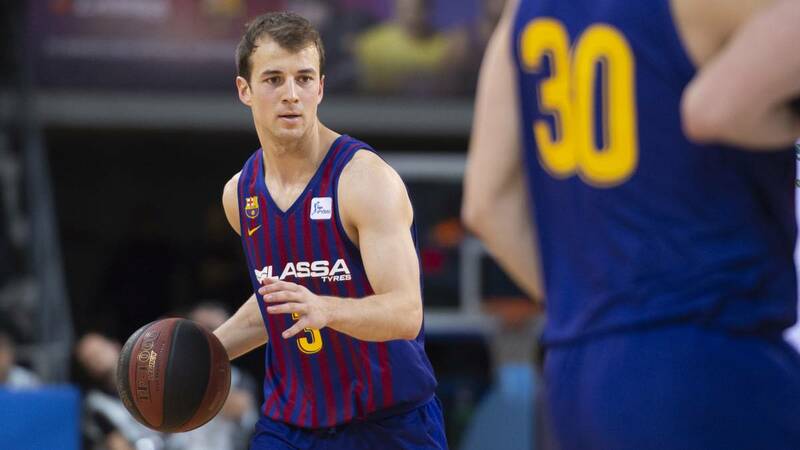 Two consecutive three-pointers by Dani Díez, for 5 of 9 Unicaja in this quarter forced Pesic to ask for time (63-59, m.20) .But it was Kevin Pangos who unclogs the Barça players with his triple quarter to close the fourth with 66-59 for his team. Unicaja resisted with triple from Díez and Boatright (71-70, m.33). A triple from Kuric and Séraphin basket gave air to his team (76-70, m.35) . Con 76-72 Pesic asked for time. Triples of Singleton and Kuric and shares of Seraphin and Blazic closed a partial of 15-2 (86-72, m.37), the maximum advantage of the game. Three triples followed by Wiltjer placed 91-83 within a minute of the end, but it was late.